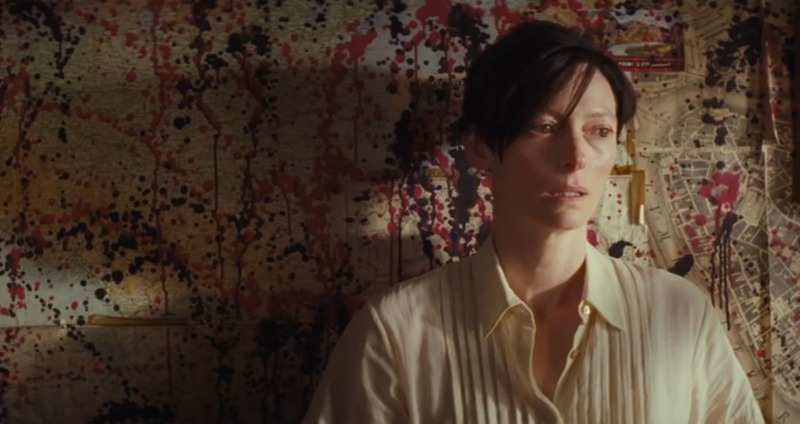 The film centers on a woman (Eva played by Tilda Swinton) whose psychopathic son has pushed her to the edge of sanity. We Need to Talk About Kevin delves into Eva's mind by periodically moving between past and present. Eva lives with her husband, son and daughter in an expensive home in an idyllic small town. However, from the interiors of the house we could gather that the house has never become a home for its inhabitants. These people share a common physical structure, but their psychological structures are innately different from each other. Eva is skeptical of the marriage, doesn't want a child, and lacks instinctive kindness towards children. Her husband Farnklin (John C. Reilly) is an aloof man who appears situationally supportive of his wife, son, and daughter, cheerful,but lacks serious familial attachment and commanding position required of him as one of the parents. He is completely clueless about the alarming dynamics between his wife and son. Only the daughter, Celia, who is really young seems to be normal, but her normalcy is constantly shattered by Kevin, the son. Kevin is instinctively fiendish, who is supremely talented as to how to wound Eva, snub her, deceive her and make her soul bleed. Kevin seems to be living embodiment of the Devil. Kevin's character is depicted at three ages. As a baby, Kevin can try the patience of a saint. A relatively younger Kevin is such a little devil who enrages Eva so much that she breaks his arm. In the movie, this particular incident is seen more like a vicious triumph of Kevin than an instance of child abuse. As a teenager, Kevin is loving towards his father, but deliberately designs ploys to hurt Eva. The film starts with Eva dreaming about a lake of blood that ultimately turns into an annual tomato festival. Throughout the film the director uses the color Red as a route to emancipation for Eva while at the same time the same color is used to capture the disturbing psyche of Eva. Though the film is titled as We Need To Talk About Kevin, they never talk about Kevin. As if, by averting any dialogues and discussion about Kevin, the film emphasizes the need for such talks and on another level forces us to consider an important question that might plague the minds of the parents of troubled children: Is it nature or nurture? 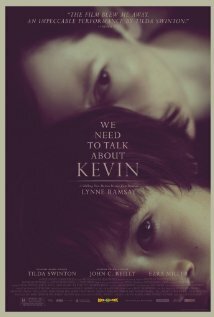 We Need to Talk About Kevin is a powerful film about a disturbed child and the magnitude of psychological trauma created in the minds of parents by a series of devilish acts by the child. The parents helplessly take the back seat like an audience and are ultimately nudged in the direction of psychosis. The film was nominated for the Palme d’Or at the 2011 Cannes Film festival.